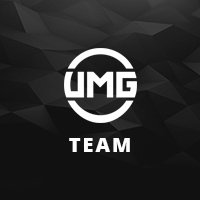 Note: In order to ensure groups are full, UMG reserves the right to remove teams to meet this criteria. - Players will be placed in groups of 3. - The higher seeded team (Seed closest to 0) will host the lobby and invite the other players. - The player that has the most kills wins the map. If there is a tie in kills, whichever player is left standing the longest will be considered the winner. - Players will compete until there is one final group of 3 left in the tournament. The winner of the final group, will be deemed 1st place, runner-up 2nd place, etc. Players are permitted to work together, however, you may not intentionally cause the death of your opponent or negatively impact your opponent's gameplay. Doing so will result in a forfeit of the map. All legends are available for us. Legend select is random, players cannot leave the game if they did not acquire the desired legend. Leaving the lobby for this reason may result in a forfeit. Any player(s) leaving the game during launch phase must provide adequate video proof as to why they left. If the video does not provide valid reasoning for a player leaving, this player(s) are subject to forfeit. 3. The use of keyboard and mouse are prohibited for console tournaments . Using a keyboard and mouse will result in a disqualification from the tournament (Pending proof). 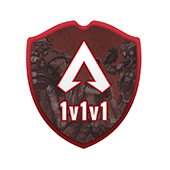 Connect Apex Legends to your UMG Account.